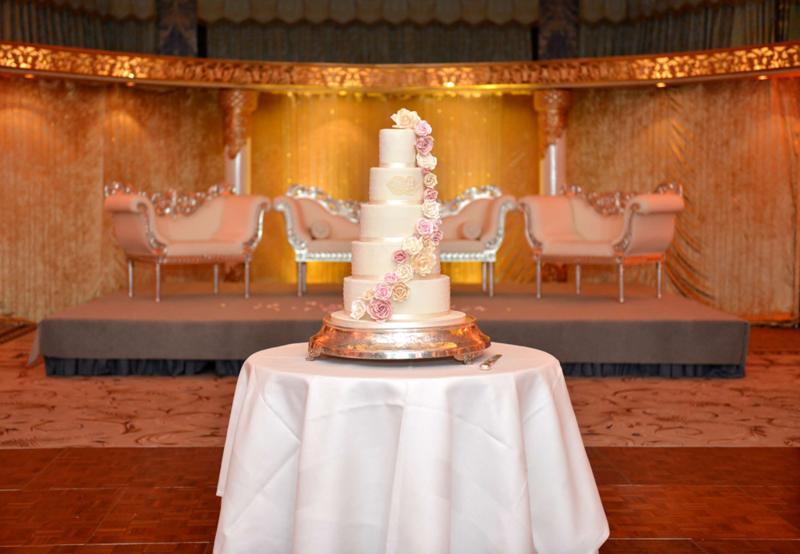 This beautiful floral cascade cake was made for Ameera and Haroons wedding at The Dorcherster. The bride wanted a rose cascade that felt vintage, to match the table decor, flowers and her beautiful white wedding dress. 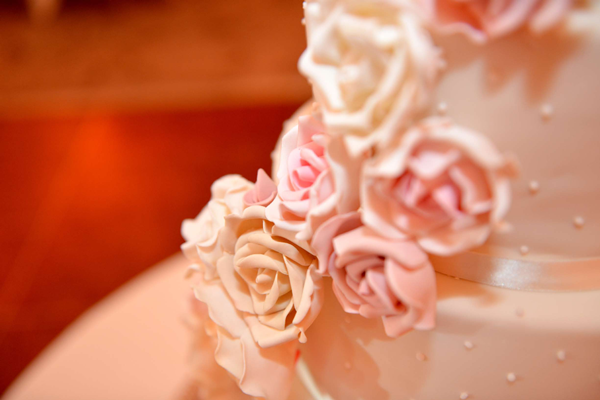 The roses were handmade in tones of pale pink, peach and ivory. The cake had royal icing pearls and a monogram. It’s always a pleasure setting up with such luxurious surroundings and this was the first time we had seen the set up in the ballroom set up for an asian wedding reception. These photos were kindly sent to us by the photographers, Digimas.